The Agilent Technologies Infiniium 80000B Series and InfiniiMax II probing system will lead to improved measurements and increased design margins. The signal integrity advantages of the Agilent Infiniium 80000B Series Scopes and InfiniiMax Probing System include the lowest noise floor, lowest jitter measurement floor, lowest trigger jitter, and flattest combined frequency response of scope and probe in the industry. 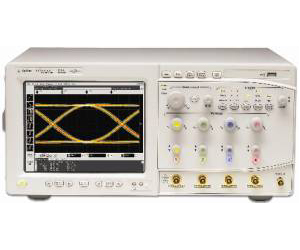 Superior signal integrity maximizes engineer design margins by not wasting any measurement accuracy due to the poor noise, jitter, or frequency response of the scope or probing system.